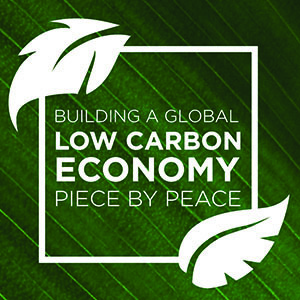 Canada is poised to lead a rapid transition to a global low carbon economy. What role can peace scholars and practitioners play in that complex but imperative transition? This interactive presentation will explore that question and present ideas on how you can be engaged in this important work in Waterloo Region and beyond. TUNE IN to fun, Grebel life, friendship and your faith! Grebel will be hosting a youth event on February 26 from 5:30 – 8:30 pm. A $5 dollar cost is associated with the event. Pizza and the famous Grebel cookies are provided! Talk to your youth pastor if you would like to attend or contact Rebekah DeJong rjdejong@uwaterloo.ca, 519-885-0220 x24215. This is a fun way to connect with youth from other Mennonite churches and get a taste of life at Grebel. Grade 10 Family Night is being hosted by the University of Waterloo. At this uWaterloo event, students and their families are invited to come to the university campus to listen to and talk with current students, staff and faculty about how to be on track for University. 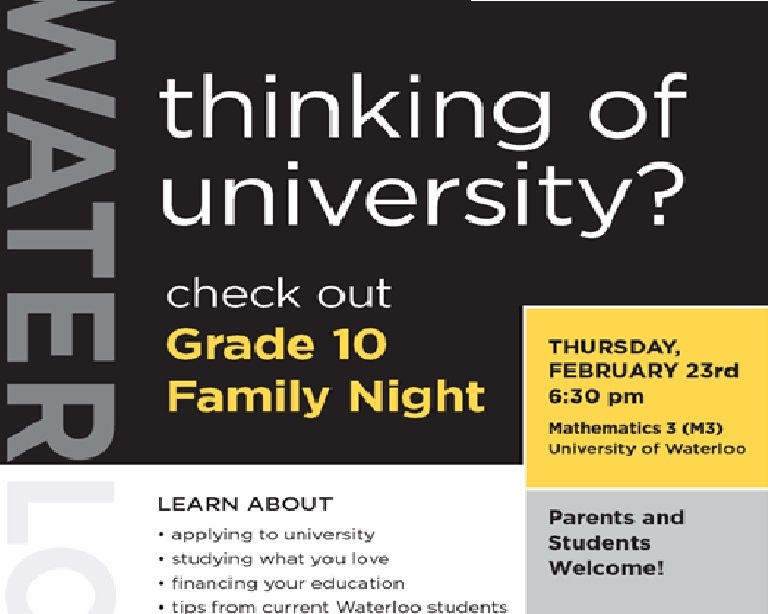 Grade 10 Family Night, on Thursday, February 23 at 6:30pm is also an excellent opportunity to see what the University of Waterloo has to offer! When a pastor acknowledges her own limitations, how does that inform her preaching? How can a pastor see his own weakness as an opportunity for God to show God’s power? This year we will explore the practical, theological, and spiritual implications of pastors embracing their full humanity, including their limitations and vulnerabilities. Registration fees vary. Early bird pricing until February 1, 2017. Local musician Jsun and the Oshungo Drumming group will perform a selection of Reggae and folk-infused music, guaranteed to cheer you up on a cold winter day. Why are awe, delight, truth, and hope so often missing or diminished in Christian liturgy today? How can our worship shape and express authentic Christian faith in the world of everyday life? In this workshop we will explore songs, texts, and a combination of verbal and non-verbal ways to communicate our worship.